My dad had a great saying, the exact wording of which I can't remember now. Something like full-blown insanity being rare but stupidity being all around us. Frank Zappa reckoned there was more stupidity in the universe than hydrogen. Einstein said only the universe and human stupidity were infinite. "And I'm not sure about the former." You've maybe guessed by now that I'm playing for time with this preamble, because today's topic is one I'm reluctant to delve deeply into. Stupidity. Specifically mine. As the first graduate in our family I used to be told I was clever but lacked sense, an allegation I dismissed at the time as sour grapes. The suspicion has grown since that the grapes were fine. And yet it's not sense that's been lacking all these years. It's the close connection with ambient events that ordinary folk take smugly for granted. I walked in front of a swing when I was three, into a lampost when I was ten and through a plate-glass window when I was 25, in all cases sustaining cuts, bruises and contusions but lasting damage only to that aura of sophistication I aim at all times to project. "Of course I don't think you're stupid," Rachel tells me in Waverley Station, as we're headed home from a morning meeting we have travelled to Edinburgh to attend, only to discover that the day was accurate but the week was only approximate. "You are fairly smart most of the time," she tells me. "But every now and then you become - what's the word? - challenging. You don't seem to know what's going on around you. 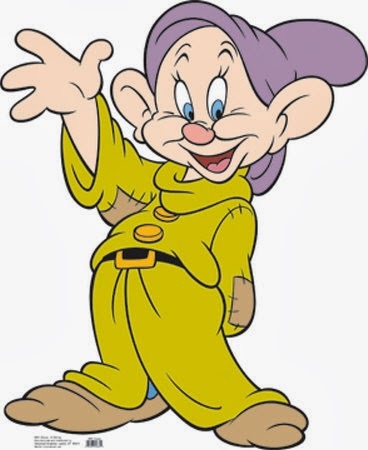 You're annoyingly dopey." My mind wanders back to a lovely, dark-haired woman called Rosemary, who often called me that. "It's loveable," she said. No one since has found it so, assigning my dopeyness instead to various places along the annoying spectrum, from 'challenging' all the way to 'infuriating'. "You are doing that stupid act again," my wife used to say. "It drives me insane." Little did she know how hard I found it, all those centuries we were together, to seem nearly normal sometimes. The relief when we split was immense, like taking a tight-fitting bra off at the end of the day. "Watch where you're going grandpa!" a young punk shouts, as I bump into him in the information centre, stepping on his foot and dislodging one of his essential earpieces. "See what I mean," Rachel says, taking my arm and leading me towards the cash machine in the corner. "Stand there," she says. "I won't be a moment. Then I'll show you where the platform is for the train back to Glasgow." Suddenly I'm the one who's annoyed. "You're talking to me as if I'm a ten-year-old," I say. "I've been all over the world without you. I've interviewed astronauts in Houston and eaten fruits of the forest from tall, slim glasses in Helsinki boardrooms. I don't need you leading me by the hand and showing me the right bloody platform in Edinburgh, thanks very much." She steps aside and I push my card into the slot, punch the code and press the option to withdraw £50 in cash. When the card reappears I shove it in my back pocket, turn on my heel and flounce off towards Platform 7. "Hey!" Rachel shouts at my departing back. "What?" I turn, still annoyed with her. "Don't you want this money then?" she asks, waving the five ten pound notes I've left in the jaws of the cash machine. Oh. It's not just me, then? I think there's more of us around than admit it, Nick. I hope so anyway.